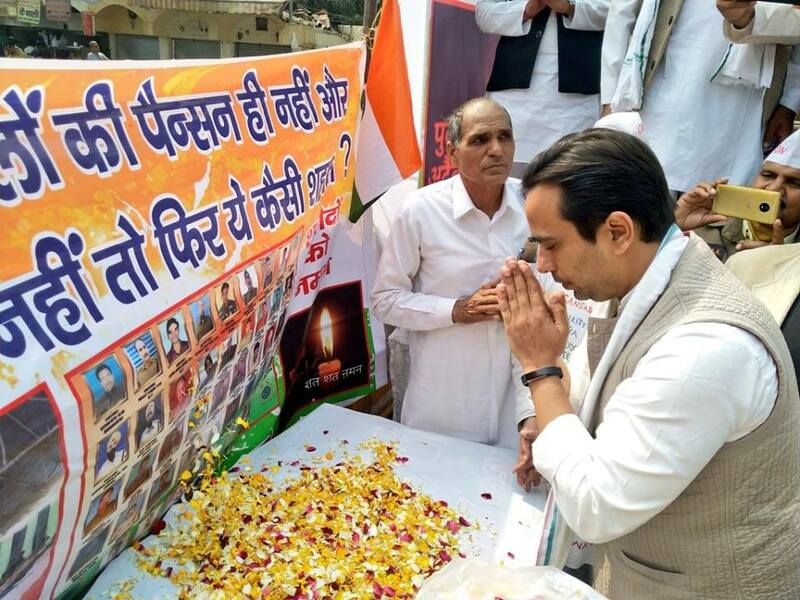 Chaudhary Charan Singh, son of Smt. Netra Kaur and Chaudhary Meer Singh, was born on 23 December 1902 in Noorpur village in Meerut District of Uttar Pradesh. 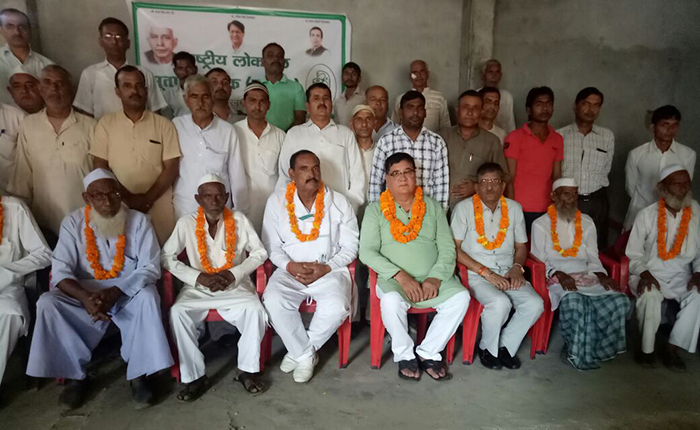 Chaudhary Charan Singh had his primary education in his native village school at Jani Khurd, and passed his matriculation from the Government High School, Meerut. He graduated in Science from Agra College in 1923, did his M.A. in History from Agra University, passed the L.L.B. examination in 1927 and got himself enrolled as an advocate in Ghaziabad. 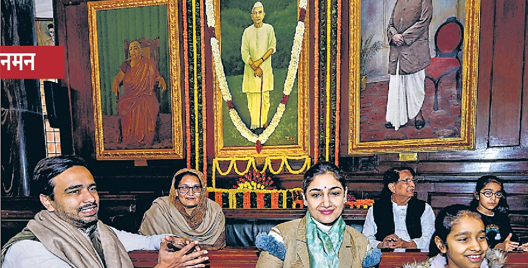 In his youth, Chaudhary Charan Singh exhibited a strong social conscience, and the will to act in accordance with his moral compass. The ideas and teachings of Swami Dayanand Saraswati, the founder of Arya Samaj had a deep influence on him. Inspired by Mahatma Gandhi and Sardar Patel, Chaudhary Charan Singh joined the freedom movement. In 1930, he was sentenced to six months in prison for contravening the salt law. He was sentenced to one year's imprisonment in 1940. Released in October 1941, Chaudhary Charan Singh was arrested again in 1942 under the Defence of India Rule. 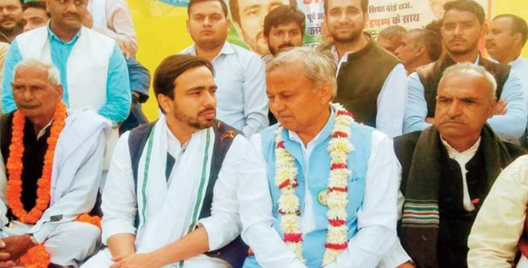 Chaudhary Ajit Singh, the National President of Rashtriya Lok Dal. 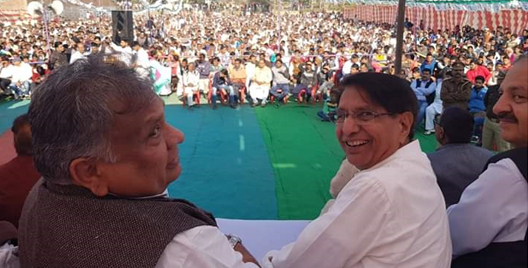 He represented baghpat constituency 6 times in the Lok Sabha and served as a member of Parliament in the 15th Lok Sabha. Born on 12 February, 1939, he is an alumnus of Lucknow University, I.I.T, Kharagpur and the Illinois Institute of Technology (U.S.A). He worked for 17 years in the computer software engineer in the emerging IT industry in U.S.A. Ch. Ajit Singh first entered parliament as a Member of the Rajya Sabha in 1986. He led his own faction of Lok Dal (Ajit) in 1987. He was President of Janata Party in 1988 and was elected as Secretary-General in 1989 of the Janata Dal, and a Member of Parliament in the 1989 Lok Sabha elections. In December 1989, Ch. Ajit Singh became the Union Cabinet Minister for Industry in the National Front Government of Late Shri VP Singh (from December, 1989 to November, 1990). He was re-elected in 1991 as Member of Parliament from Janata Dal. He was appointed Cabinet Minister of Food in February, 1995 in the Congress Government and held the post till May, 1996. Ch. Ajit Singh was elected to the Lok Sabha again in 1996 and left the congress party to form his own Bharatiya Kisan Kamghar Party (BKKP). He resigned his membership as MP from Lok Sabha and contested the bye-election caused by his resignation as a BKKP candidate. In 1999, he contested Lok Sabha polls as a candidate of the Rashtriya Lokdal. In July 2001, he was sworn in as Cabinet Minister for Agriculture and served in the position till May 2003. 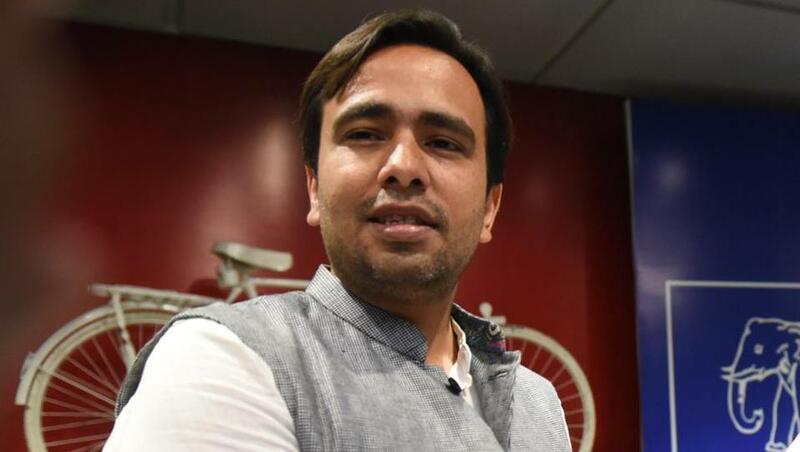 Jayant Chaudhary served as a Member of Parliament in the 15th Lok Sabha. He contested the 2009 General Election from Mathura, Uttar Pradesh. 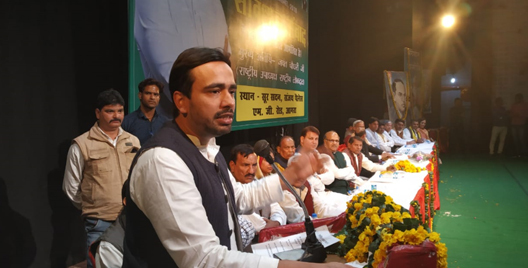 He is currently the National Vice-President of the Rashtriya Lokdal. Born on 27th December 1978, Jayant did his undergraduate studies from Shri Venkateswara College, Delhi University, and in 2002 completed an MSc in Accounting and Finance from the London School of Economics and Political Science. Jayant has been a vocal critic of the 1894 land acquisition law and the large-scale acquisition of fertile lands in the State of Uttar Pradesh. 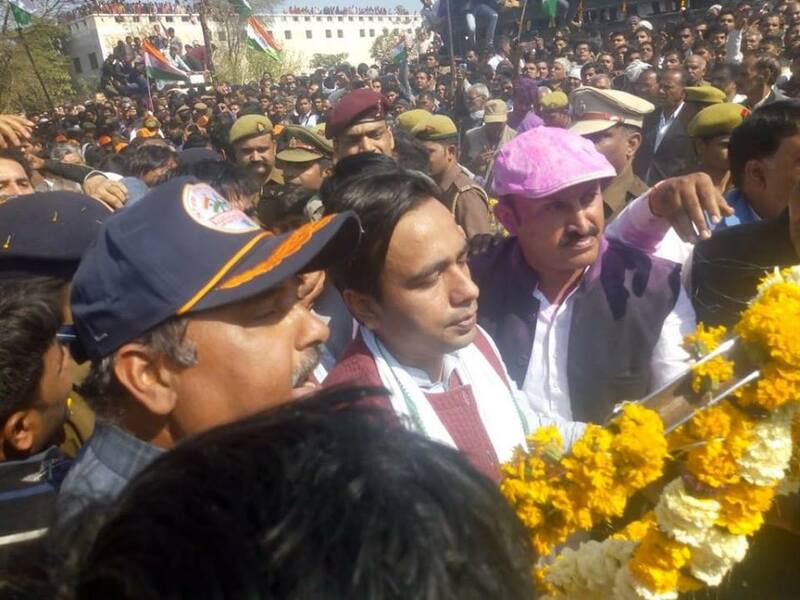 He was at the forefront of a number of agitations to protest the unfair acquisition of land in the State and in particular, the agitations in the Noida, Greater Noida, Mathura, Hathras, Agra and Aligarh districts. 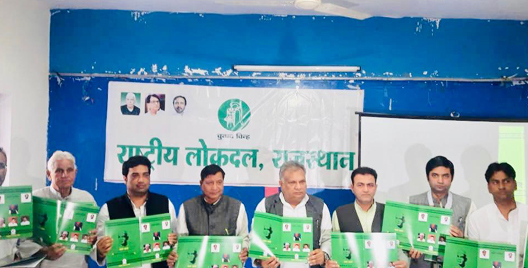 The agitations and the violence against protestors at Bhatta Parsaul, Bajna and Tappal recently led to a nationwide debate on the misuse of the provisions of the Acquisition Act, and the indiscriminate use of force on protestors. Born in 1953 in a remote village of eastern Uttar Pradesh Dr masood ahmad fought bravely with poverty to accomplish several educational milestone which culminated in doctorate in history (ph. d) from Aligarh Muslim University. Despite options of becoming a lecturer at the same university dr masood left for bigger things to come. His first checkpoint in an illustrious career came when he met manyavar Kashiram during the DS4 and BAMCEF days. Both impressed with each other, dr masood thereafter became a trusted aid of manyavar Kahsiram and also became the founder member of Bahujan Samaj party (BSP). He fought elections from various consittuencis but tasted his first success in 1993 when he won on assembly bsp ticket from Tanda, Ambedkarnagar. He also became the cabinet minister of education with all three basic, middle and upper depts. He played in a key role in formulating education policy and promoting Urdu through recruitments and otherwise in the brief spell of 6 months when he was a minister.